What type of tourist are you? Thread: What type of tourist are you? Then I am going on to Ireland for a few days by myself.....or with Dupes if he doesn't ***** out. So I was just researching Ireland. Got me thinking what type of tourist I am. I just can't do any type of tour unless it comes highly recommended. I just hate direction and like to do my own thing. For me.....half the enjoyment of a holiday is the research and planning beforehand. So I like to do a ton of research and then go to tourist spots myself..... If I go at all. For me.....I just like seeing local life the most. I don't care much about the history as much as I do with the culture and day to day life. I will research bars and restaurants but I don't actually make any concerted effort to go to them. I make a not of where they are and if I happen to pass by.....I will stop in. I also do a lot of research before booking, trip advisor for most reviews and the trip advisor forums are a good place to get local help. The hotel for me is just a place to sleep, As I travel a fair bit I try to book cheaper accommodation it all adds up in the end. I always eat the local food everyday morning lunch and dinner, drink the local beer most of the time. I rather like mixing with the locals than tourists and like the non tourist county areas more than a big city. I do like a night or two out in the big city's but that's it then I'm off. If I can I like to get on two wheels, Motor bike or peddles. When I first started going to CM loved finding a new bride and taking off on a MB for a week. These days I still like to ride but with mates no ladys. Not so much into history however will do a organised tour to get the basics. Couldn't to back to back tours everyday like some do. I like adventurous things so its mountain biking, white water rafting, mountain climbing. trekking all that stuff. Not one to site around drinking beer all day or sun bathing by the pool reading a book for hours. I research the hotel a lot. But then I like to find things by myself or by chatting to people I meet. I walk miles, but equally happy sat at a bar with a beer with ice and let the rest of the world walk past me. I don't like pre arranged trips or tours. Rather go about it on my own, sometimes getting lost, but with smartphone and data connection available, google map save me many times. Most of the time i look for restaurants. I generally like walking around a new place to get to know it. I research quite a lot if going somewhere new. We spent a week in Brunei, about 3 days too many 555. Most of my travels in the last couple of decades has been SEA and the Pacific and I know it quite well now. I would like to see more of S. America but probably not going to happen with the girls coming to NZ. ^^^ Every time i hear the word Invercargill i immediately just have to say ....... Where ya going .... Invercargill .... Hop in !! 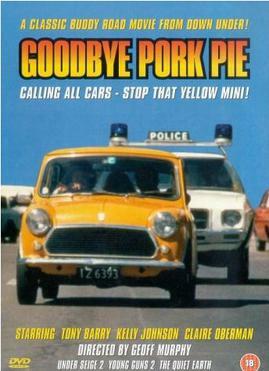 ............ anyone remember the name of the movie with the yellow Mini ?